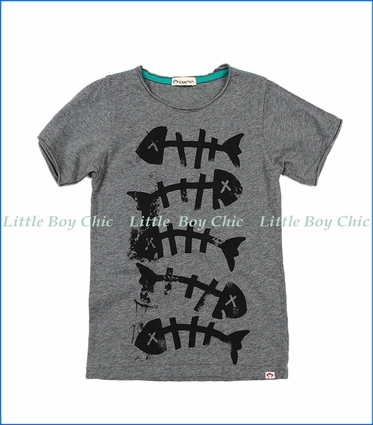 Get some cred on the beach with this fishbones graphic tee by Appaman. Super soft and cozy cotton. Raw edges along crewneck and sleeves. Tee allows for a bit of stretch for fit and comfort. Interior neck tape holds its shape over time. Woven label on hem.